EIGHT YEARS IN the making, Barack Obama: 101 Best Covers, consists of a unique collection of newspaper and magazine covers featuring the president's picture, and spanning his two eventful terms in office. Entries have been included from all over the world, and from a diverse range of publications, including Time, Rolling Stone, The Economist and Vogue. Only the most inventive and creative covers have been selected for the publication, making the best use of photography, typography and copywriting. Photographic pictures of Obama contrast with illustrations, cartoons and collages. 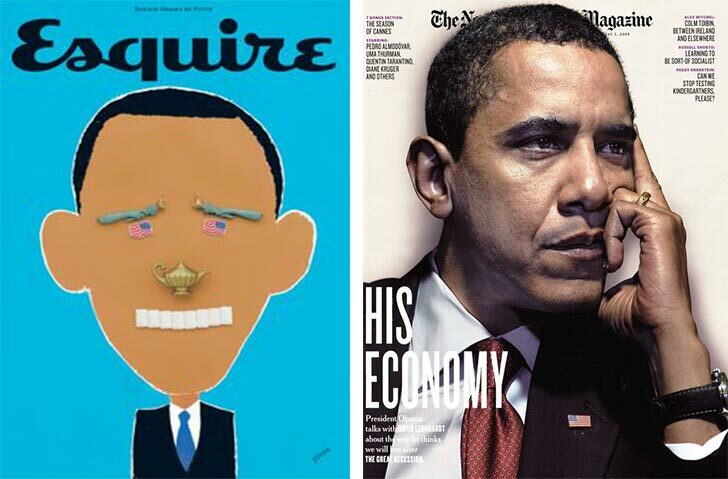 Each cover is accompanied by a detailed caption discussing the creative execution and the various ways President Obama's picture has been portrayed or manipulated. The story of Obama's political journey can traced via the collection of annotated images within the book, which run from 2006 to 2016. Early covers, depicting the excitement, hope and euphoria of the build-up to his first election victory, are contrasted with post-election cover pictures revealing the media's backlash against his early promise. With a plethora of new books all rushing to define Obama's legacy as he finally leaves office, Barack Obama: 101 Best Covers offers readers a unique commemorative souvenir to mark the dramatic advent of the country's first African African president. WHITE LABELS BOOKS | Home | About | Books | Contact | ©whitelabelsbooks.com. All rights reserved. 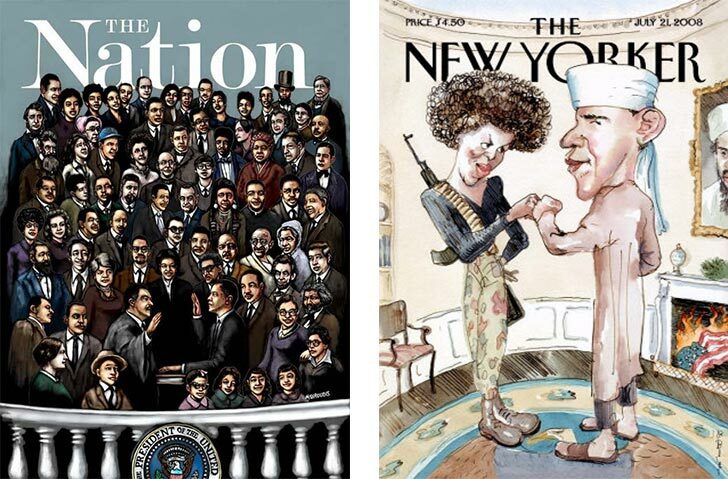 OBAMA IN PICTURES: 'The Nation' and 'The New Yorker' magazines feature illustrations of Barack Obama on the front covers of their February 2, 2009 and July 21, 2008 editions. 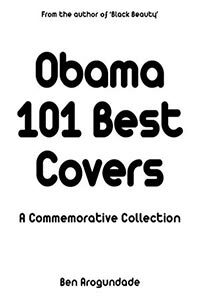 Both covers feature in our new photo book, 'Obama: 101 Best Covers'. The number of people worldwide who Google the phrase, “Barack Obama pictures” each month. The number of people worldwide who Google the phrase, “Barack Obama book” each month. *All figures for “Barack Obama Stats According to Google Search”, supplied by Google. Stats include global totals for laptop and desktop computers and mobile devices. BARACK OBAMA'S MANY FACES: Barack Obama's picture has featured on more newspaper and magazine covers than any other American president in history. Our new book commemorates his tenure with 101 of the best.